Our exemplary user story is about building a simple dashboard and identifying relationship circles. Combining data from various data sources and building a combined dashboard is universal to all industries (eg. Airlines, Retail, telecommunication or banking). Visualized relationship circles help to get better insights into the consumers family & friends network. Unfortunately the SAP Marketing Cloud data model does not support multi-dimensional relationships. 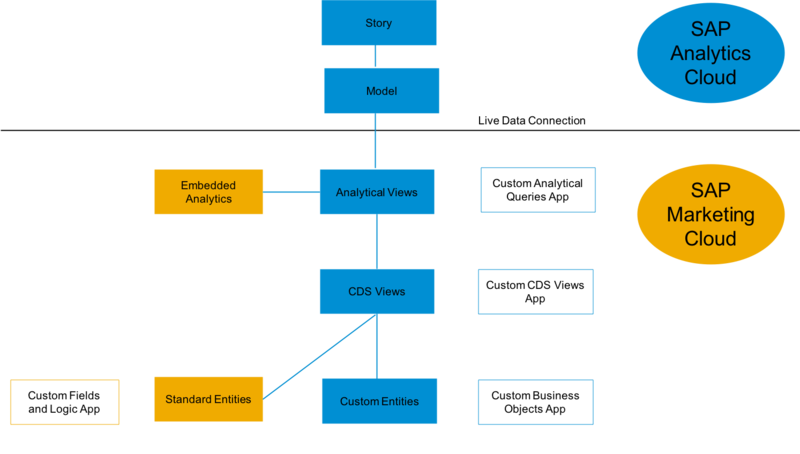 The first part of this user story can be answered enhancing the data model by implementing a ‘Custom Business Objects’ while the second part refers to building models and creating a story in SAP Analytics Cloud. The definition of the business question by the marketing experts or business users should always be the first step before the actual implementation of the dashboard starts. Please refer the below diagram for the high level approach. Always start with Business KPIs and break it down into business entities. Try to identify the association between these entities. Further classify each entity into fields. In our case its the contact/customer from SAP Marketing Cloud. Relationship details from external system. 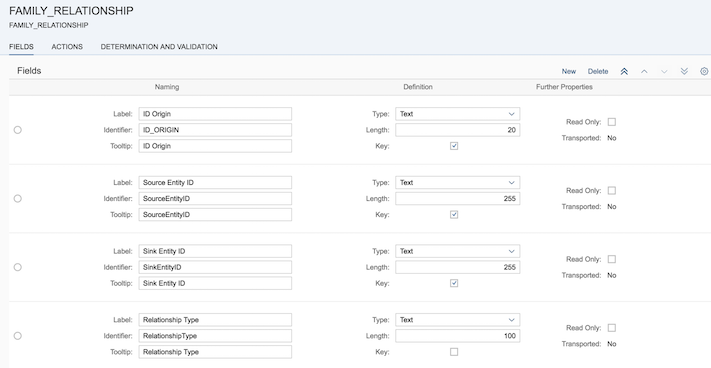 Example : “External ID” of the primary contact, Family Head identifier, Family ID/Subscription ID, Relationship Type, SourceObject ID/Primary ID, Sink ID etc. 2. Categorise them into standard fields and custom fields . In our example “External ID” of the primary contact can be mapped to “Source Object ID/Primary ID”, the “Family Head” flag can be a custom field. 1.Always try to extend the Standard entities via Custom Fields and Logic App first. With this method of extension, we will be able to consume the extended fields both in SAP Marketing Cloud as well as in SAP Analytics Cloud without any additional effort. Family Head Identifier and Family ID becomes custom extended fields in the Contacts master. Relationship details becomes custom entity due to its 1 : N relationship and Custom Business Objects (CBO) /Z table has to be created for the same. Picture five : Screenshot of base Custom CDS View showing the data sources and association from Custom Business Objects to Marketing Interaction Contact Facet. Picture six : Screenshot of the uppermost Custom CDS View showing the base CDS view association with Interaction Contact. Picture Seven : Screenshot of Custom Analytical Queries App /View Browser App showing the query name. Go to View Browser App in SAP Marketing Cloud and display the details of your custom query. The data source name is composed of the prefix “2C” followed by the SQL View name and consume this model in a pre built story template. 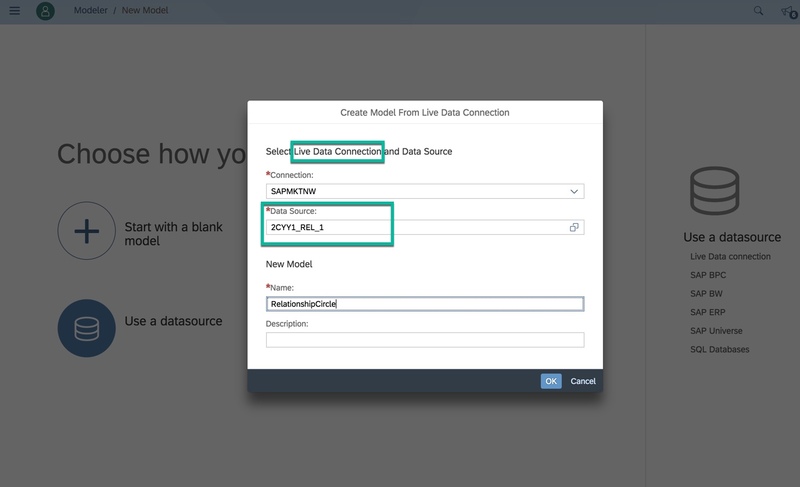 Picture eight : Live data connection to SAP Marketing Cloud System with Data Source details. Opening the Story from the Marketing Cloud is possible. 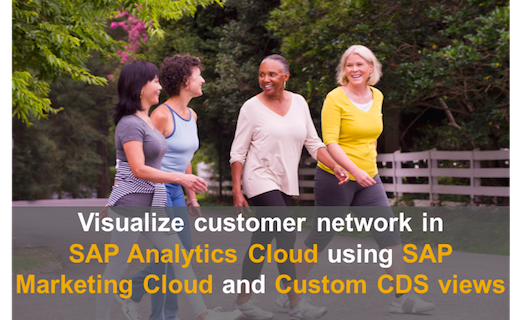 To learn more about how to connect SAP Marketing Cloud and SAP Analytics Cloud refer to help/Integration Guide. With this blog, you have seen how to build multi-dimensional relationships to get better insight of your customers family and friends network for marketing activities. 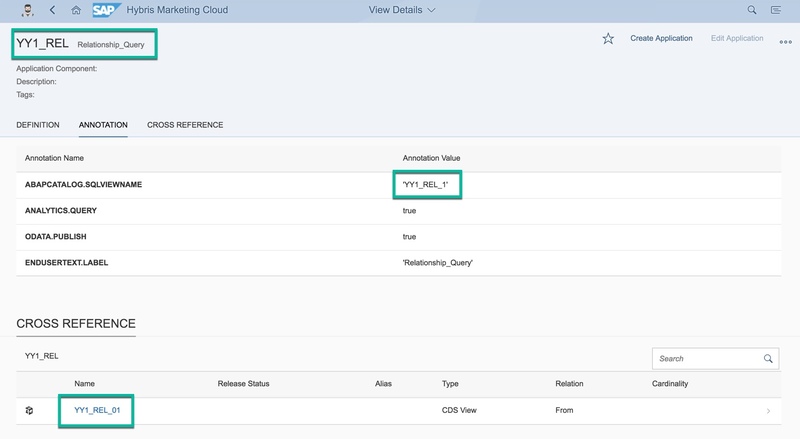 Also, you have learnt how to use custom SAP Marketing apps (Custom Business Objects, Custom CDS view and Custom Analytical query apps) to implement your business story and visualize the same in SAP Analytics Cloud. You should now be able to implement your own custom app to fulfil business questions .